We’d love your help. Let us know what’s wrong with this preview of The Village by J.J. Anderson. 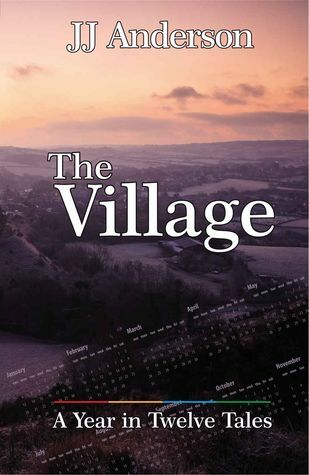 ‘The Village; A Year in Twelve Tales’ chronicles the life of a modern, semi-rural English village over the course of one calendar year. It is New Year and the villagers are making plans. A father and son visit a disused aerodrome, where they find a mysterious link to their. In Spring a young boy becomes entranced by nature as he seeks and finds a hare. A marriage enters its ‘The Village; A Year in Twelve Tales’ chronicles the life of a modern, semi-rural English village over the course of one calendar year. It is New Year and the villagers are making plans. A father and son visit a disused aerodrome, where they find a mysterious link to their. In Spring a young boy becomes entranced by nature as he seeks and finds a hare. A marriage enters its death throes. May-time sees a gardening competition re-kindle an old rivalry and there are dastardly deeds at the Summer Fete. Real violence erupts with an influx of transient newcomers at harvest time. Later a new arrival to the village learns the importance of first impressions. To ask other readers questions about The Village, please sign up. I'm in love with these short stories ! Julie Anderson did an amazing job of writing these villager's adventures and journeys, I honeslty couldn't ask for more. With the delicate and exquisite vocabulary, the reader will enter the fictional world of The Village quite easily and smoothly. Some parts succeed to make me laugh out loud and some parts made me reflect on my own life. Love the structure of the book, Anderson separates the stories by months of year which allow us to feel the seasonal vib I'm in love with these short stories ! Julie Anderson did an amazing job of writing these villager's adventures and journeys, I honeslty couldn't ask for more. With the delicate and exquisite vocabulary, the reader will enter the fictional world of The Village quite easily and smoothly. Some parts succeed to make me laugh out loud and some parts made me reflect on my own life. Love the structure of the book, Anderson separates the stories by months of year which allow us to feel the seasonal vibe throughout the stories. I recommend these stories to anyone, since all the characters are from different backgrounds, wide spectrum of age and characteristics. Anyone can relate to at least one of them and that's the beauty of it. It is surprisingly the kind of stories I can read all over again when I feel like it. Rare are the books that make me want to do that. Big thank you to the author for giving me a free copy in exchange of an honest review. I enjoyed this collection a lot. It is well written, easy to read and I was completely drawn into the fictional world of the village. Descriptions of place are evocative and powerful, the chilly, wind-blown airfield, the forbidden depths of the wood or the sunny canal towpath are all made real for the reader. So are the relationships. The interwoven, layered nature of village life is captured perfectly. At the beginning the stories stand alone, told from different points of view, but characters I enjoyed this collection a lot. It is well written, easy to read and I was completely drawn into the fictional world of the village. Descriptions of place are evocative and powerful, the chilly, wind-blown airfield, the forbidden depths of the wood or the sunny canal towpath are all made real for the reader. So are the relationships. I really enjoyed reading this collection and have recommended it to many of my friends. The wide cast of characters, from diverse backgrounds and of different ages, creates a vivid and real picture of life in The Village. Particularly strong are the interactions between the generations, the author deftly capturing the differing social attitudes. My favourite characters are Winnie ( though she is sometimes irascible )and Ray,her son-in-law, because both are complex, thoughtful individuals who are I really enjoyed reading this collection and have recommended it to many of my friends. The wide cast of characters, from diverse backgrounds and of different ages, creates a vivid and real picture of life in The Village. Particularly strong are the interactions between the generations, the author deftly capturing the differing social attitudes. My favourite characters are Winnie ( though she is sometimes irascible )and Ray,her son-in-law, because both are complex, thoughtful individuals who are caring in regard to their fellow villagers. When will we get to hear more about this group of people? I really enjoyed reading these short stories. I was totally drawn into the lives of the villagers and I loved the way the characters were woven into the different stories. With the changing seasons as a backdrop, with the village fete at the centre of the book and the life of the village, it really reflected village life. This book is beautifully written with characters I can't wait to hear more about! More Harper Valley than Peyton Place, JJ Anderson's depiction of life in a small English village is both lovely and resplendent in her The Village: A Year in Twelve Tales. The novelty here is that the novel itself is composed of twelve stories, each interlinked in some way, culminating in one overarching rich narrative . The village itself is characteristically full of unique and stock inhabitants. It is the history of the Marshall clan that defines the context of this book, but it is with the in More Harper Valley than Peyton Place, JJ Anderson's depiction of life in a small English village is both lovely and resplendent in her The Village: A Year in Twelve Tales. The novelty here is that the novel itself is composed of twelve stories, each interlinked in some way, culminating in one overarching rich narrative . The village itself is characteristically full of unique and stock inhabitants. It is the history of the Marshall clan that defines the context of this book, but it is with the introduction of secondary characters and their sometimes hazardous predicaments that really excel the plot of the novel. The relationships and situations in 'The Village' are not, and cannot be, unrepresented at this stage of modern literature. However, it is the differing perspectives on said circumstances that allows Anderson to demonstrate her clear ability to document a fictional town's coming of age as though it were a true story in origin. I don't feel it is worthy to give a play-by-play of the plot of each of the tales because the cumulative whole of the work is much more than that. The twelve tales act as character studies of humanity, regardless of the fact that the story itself is set in a sort of timeless era. Amassed, this insightful work is rich in its propensity for the hope for the success of a family dynamic that unfortunately has to undergo some of life's less desirable events to strengthen their inherent bond. Many thanks to the author for the book won through goodreads giveaway. An enjoyable set of stories blended to give a tapestry style picture of village life. A balanced portrayal seen neither through rosy tinted nor dark lenses. Events small and major,often poignant,occasional humour with quite a cast of characters to care about,(and a few to dislike accordingly,and cheer at comeuppances!) Even so, I would like to know more about some of the minor characters, Sid,Reverend Jim,Vali,Dr Hari. Plent Many thanks to the author for the book won through goodreads giveaway. An enjoyable set of stories blended to give a tapestry style picture of village life. A balanced portrayal seen neither through rosy tinted nor dark lenses. Events small and major,often poignant,occasional humour with quite a cast of characters to care about,(and a few to dislike accordingly,and cheer at comeuppances!) Even so, I would like to know more about some of the minor characters, Sid,Reverend Jim,Vali,Dr Hari. Plenty of scope for another book. I do not normally like short stories, but the fact that they were all interlinked ,with familiar characters cropping up made it read more like a novel. I hope there will be more to come. Julie Anderson is a writer who lives in South London. She enjoys the cultural life of the city and eating out with friends. Occasionally she visits an Andalucian retreat. She has written a two volume series - the Al Andalus stories. The first, 'Reconquista' was long listed for the Mslexia Children's Novel 2016, but it appeals to adults too. The second 'The Silver Rings' was published in 2018. Prev Julie Anderson is a writer who lives in South London. She enjoys the cultural life of the city and eating out with friends. Occasionally she visits an Andalucian retreat. She has written a two volume series - the Al Andalus stories. The first, 'Reconquista' was long listed for the Mslexia Children's Novel 2016, but it appeals to adults too. The second 'The Silver Rings' was published in 2018. Previous publications include a modern day Book of Hours entitled 'The Village'. She edited The Story Bazaar Compendium for four years, an annual publication of fiction and articles from The Story Bazaar web-site. Julie is Chair of Trustees of Clapham Writers, a charitable organisation which produces the annual Clapham Book Festival and sponsors literacy and reading in the community. She curates literary events, at festivals such as the Lambeth Country Show, Crystal Palace Overground. She regularly blogs about things which interest her at www.jandmanderson.com.